The axe is one of the first tools created by humankind. 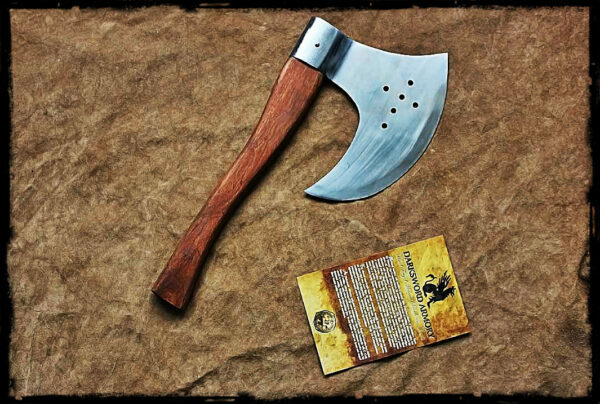 The simplicity of its construction and its versatility made the axe an integral part of every human culture. None to any other warrior cultures, has the Axe been associated to the Vikings. 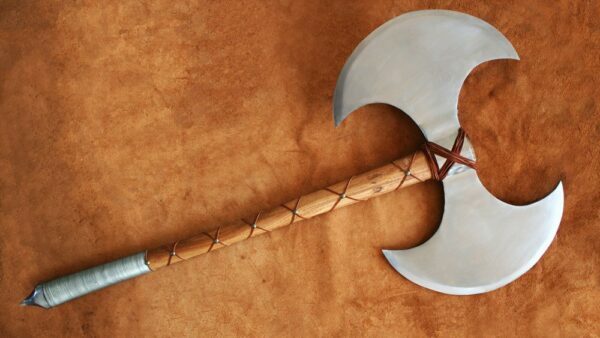 Axes were vital to Viking life. 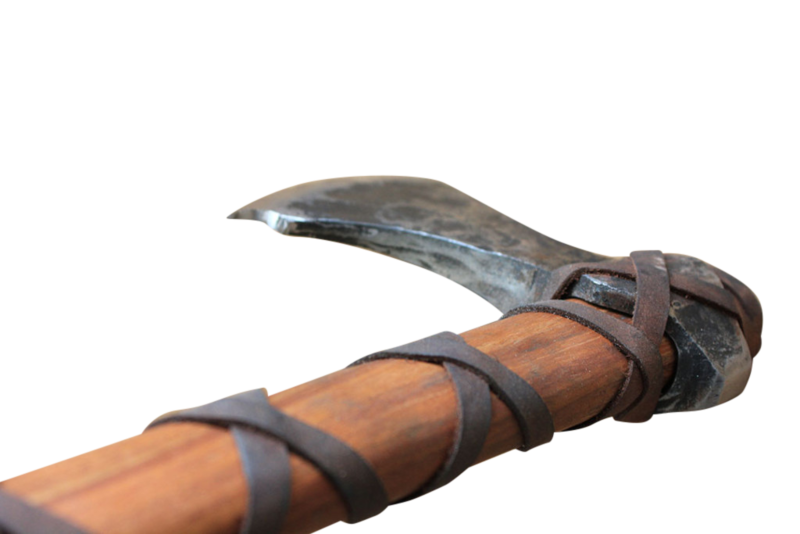 However, it’s important to understand that the basis of Viking life was not raiding and pillaging, but agriculture. 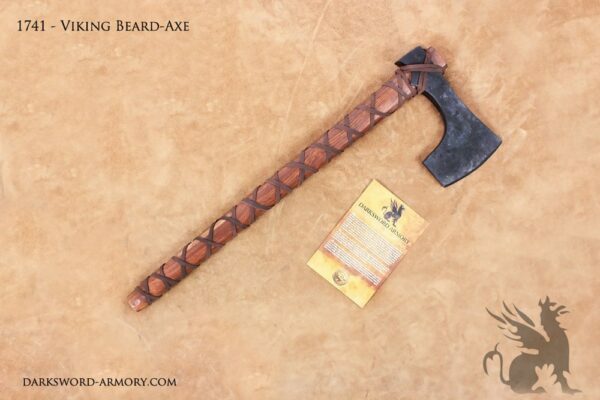 Axes were an essential farming and household tools. 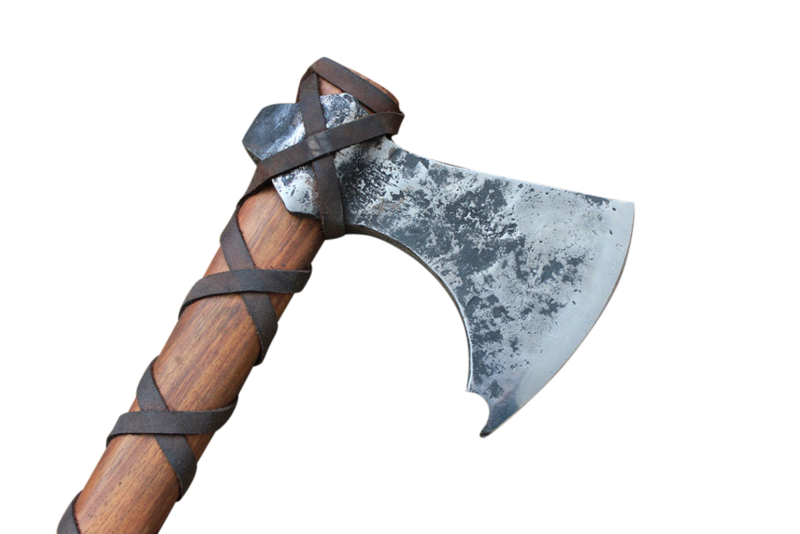 Used and modified to respond to various necessities the viking axe shifted in size, shape and weight, depending on their use. 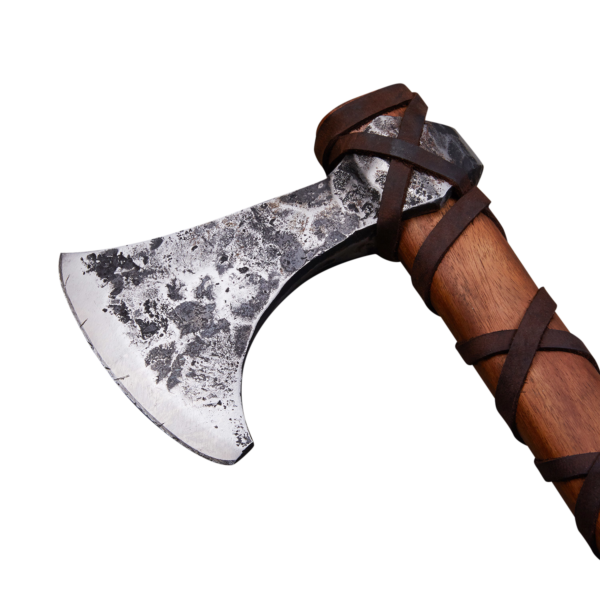 Today, the viking axe is regarded among museum curators and collectors as an immensely practical tool shaping the Norse culture; A tool that was used for combat but also for traditional domestic or agricultural duties. 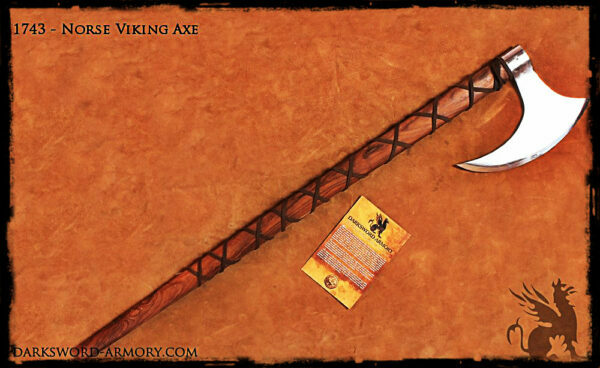 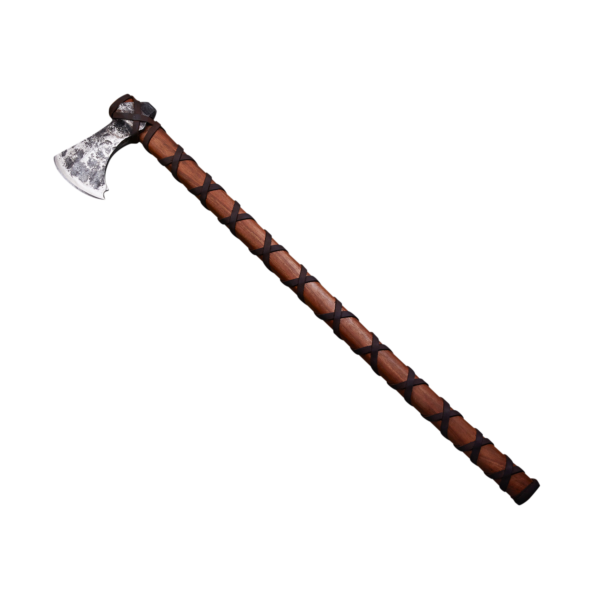 When used in War, The Viking axe a devastating weapon, capable of splitting a man’s skull. 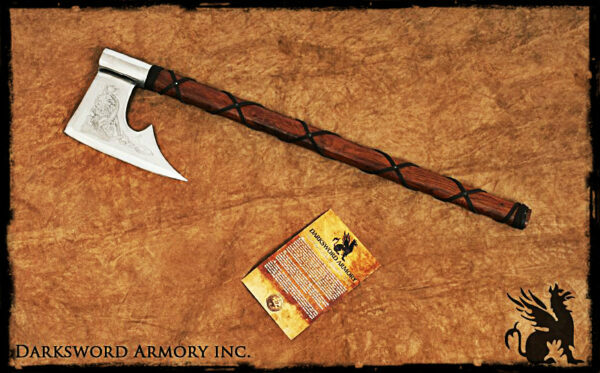 Our Gotland Viking Axe is faithfully reproduced to feel, handle, and perform as the original. 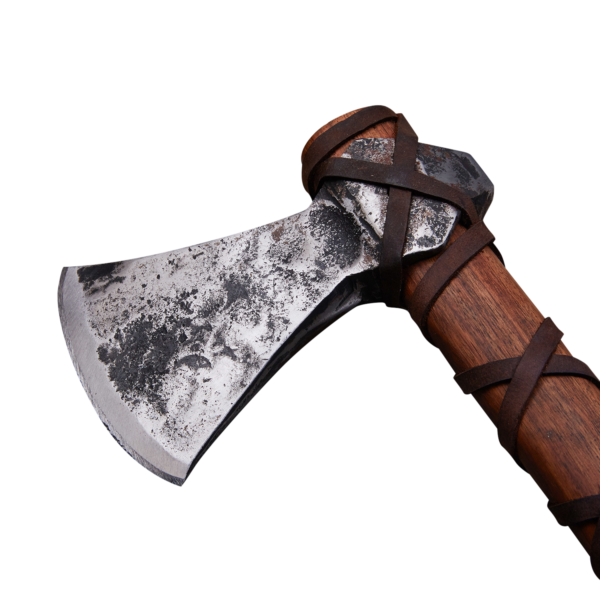 Hand-forged from wrought iron and skillfully hardened, The Gotland axe is sturdy, resilient and build to perform under the most brutal environment. I purchased this axe several weeks back and I’ll begin with the positives. 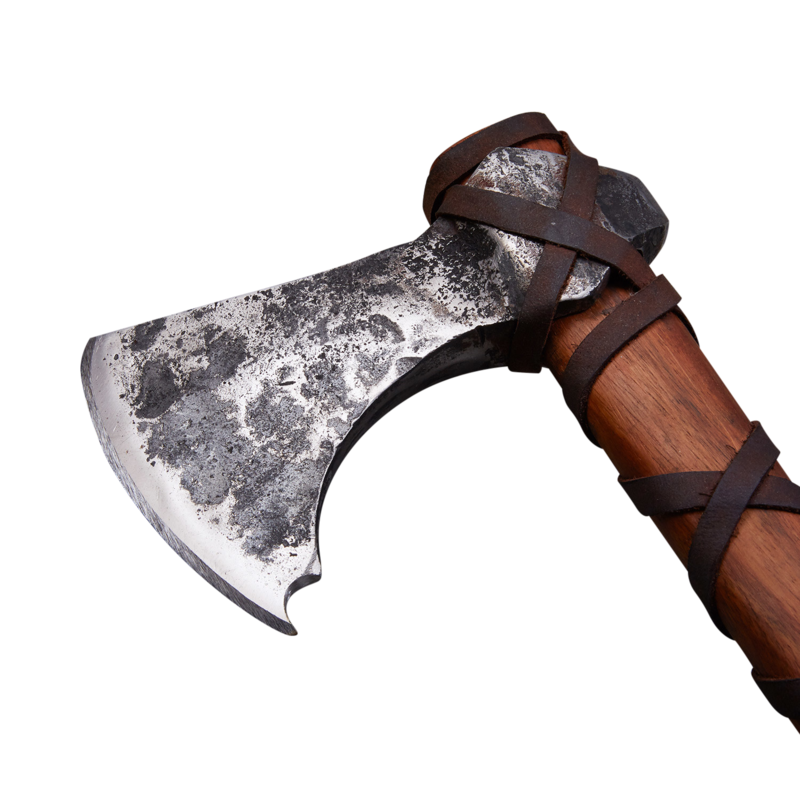 The leather wrap was nicely done, good finish on both the axe head and the handle and the overall look of it was well done. As well I ordered it sharp and condition of the edge did not disappoint. 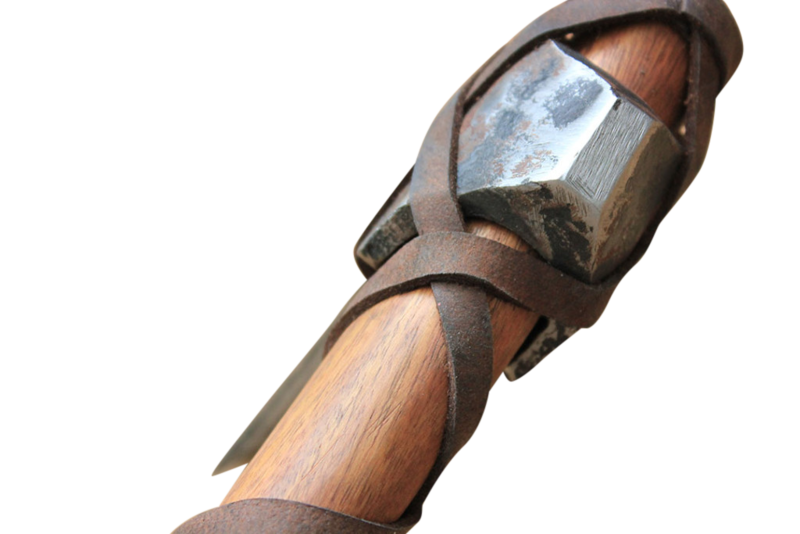 However, upon removing the leather wrap (personal preference) I noticed a large pin securing the head to handle and that there were large gaps in the fit leading me to believe that no friction what so ever holds the head in place. 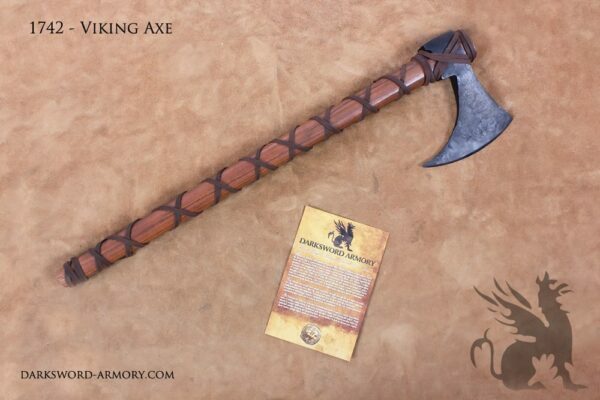 I know that many manufacturers use pins/set screws to secure axe heads and thus is commonplace but I did not expect such a poor fit for the $225 USD ($294.91 CAD) price point. 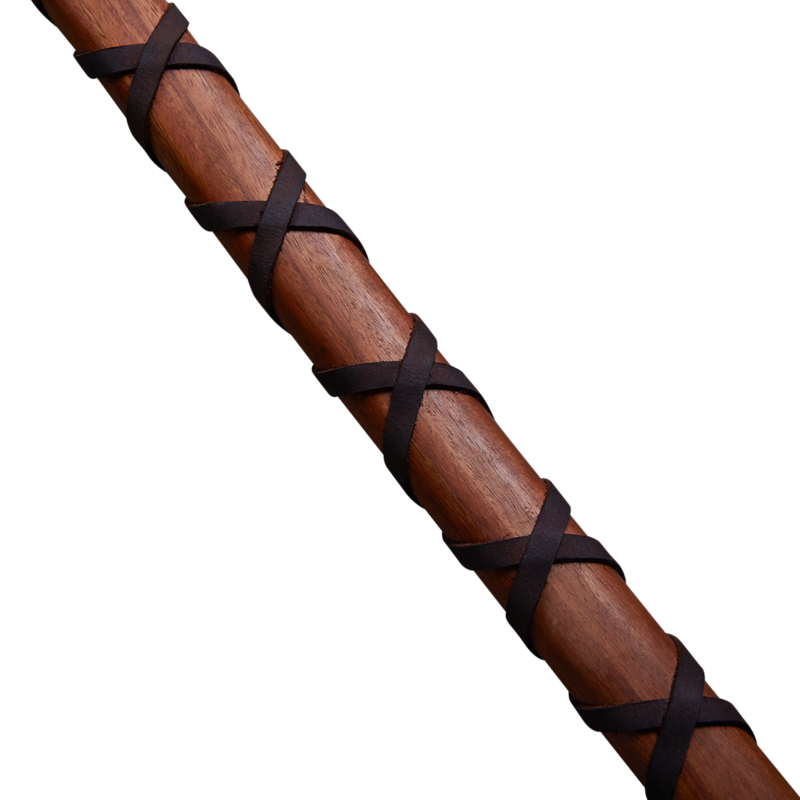 As well upon inspection of the handle I noticed a hairline crack in the handle itself so unfortunately will need to replace the handle prior to any cut testing. All that being said my final thoughts are that it looks good but would be very hesitant on actually using it right out of the box.